Jin Eui Kim (Personal show 2016). 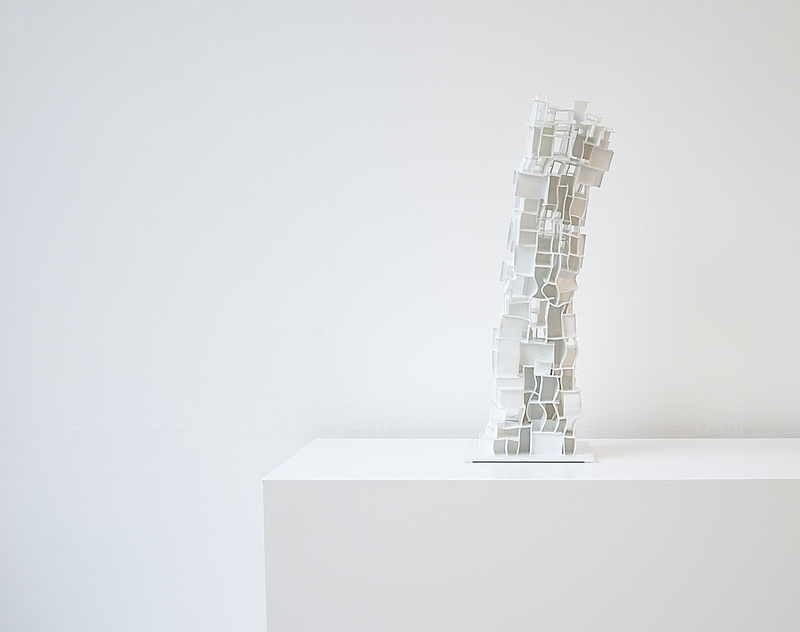 Pálma Babos known for her skyscraper structures returns to PULS after an absence of nearly 4 years. Babos is an international prize winner as both ceramic artist and industrial designer. 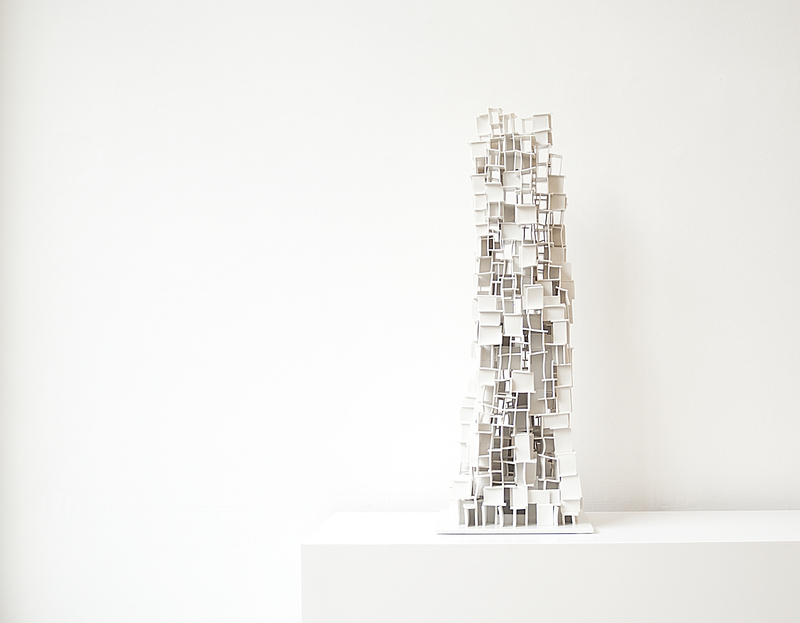 She builds signature fragile, yet un-wielding structures known as ‘towers’. 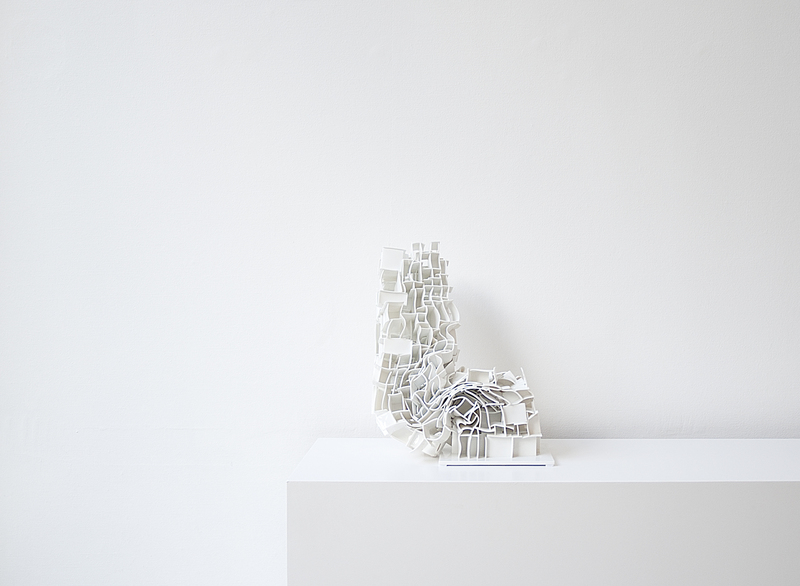 ‘What kind of a city is this?’ the viewer will wonder when looking at her sculptures. Is it a visual representation of a catastrophe or future doom? Or is it a building full of complex passions? Babos’ buildings turn humans, as they act, crumble and collapse under some unnamed but quite unavoidable force. Pálma Babos (Personal show 2012).